Draw 6 cards if any of them were energy flip a coin if heads draw 6 more cards if tails search your opponents deck for 3 cards and discard them. 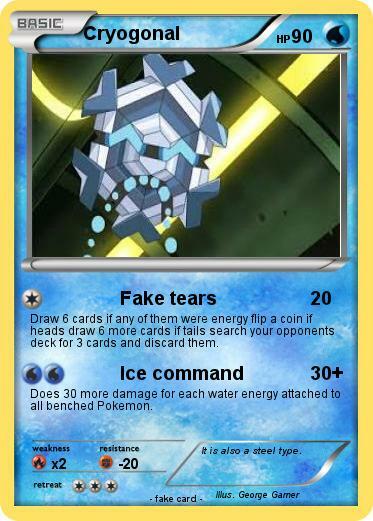 Does 30 more damage for each water energy attached to all benched Pokemon. Comments : It is also a steel type.